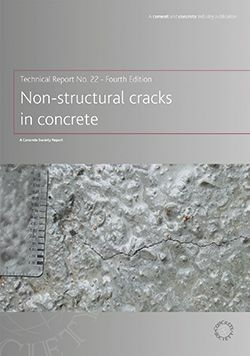 The 4th edition of this report explains the principles governing the formation of cracks in concrete and defines the various types of non-structural crack which may occur. The factors which govern these cracks are described so that diagnoses may be made and procedures for control suggested. The report also describes some of the materials and methods that may be used for remedial work.